Cristiano Ronaldo was ranked in the 1st place as the World's top goalscorer in the 2010-2011 season, according to the IFFHS (International Federation of Football History & Statistics). CR7 scored a total of 40 goals in the Spanish League, beating Messi, who finished 2nd, with 31 goals. 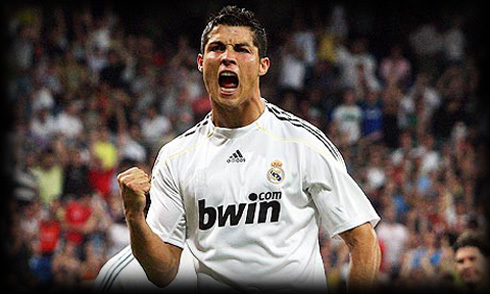 Cristiano Ronaldo finished the 2010/2011 season with 40 goals in La Liga, which allowed him to end in the top of the World's goalscorers table, recently published by the International Federation of Football History & Statistics (IFFHS). These rankings only take into account goals that were scored in the domestic leagues and that's why there were a total of 13 goals deducted to Cristiano Ronaldo total goal tally in 2010-11, since CR7 scored 53(54) goals in all competitions. Despite the controversy about Cristiano Ronaldo having scored 40 or 41 goals in the Spanish League (because of an earlier goal scored this season against Real Sociedad being awarded to Pepe and not Ronaldo), competition was left behind by miles. The second place was awarded to Lionel Messi, from Barcelona, who scored 31 goals (9 goals behind Cristiano Ronaldo). In the third place we can find Mario Gomez from Bayern Munich with 28 goals (12 goals behind).